A sports field with third generation artificial turf technology is known as a 3G pitch. The basic construction of the newest generation of artificial turf is a blend of grass-like fibres attached to a special backing with a mix of sand and/or rubber brushed in. This construction has proven to be the most favourable for football to date. 3G pitches, as they are often referred to, are one of the major innovations of the last 10 years in the game of football. The development of these 3G Football Turf pitches now replicate the playing characteristics of the best quality natural turf pitches, unlike those of the 1980s and 90s. The success and specific development of these surfaces for football has led to FIFa to describe them as 3G Football Turf and In July 2004, the International Football association Board decided to include 3G Football Turf in the Laws of the Game and endorse them to be used in major competitions including FIFa World Cup qualification matches and the UeFa Champions League as well as grass roots football and small sided centres. 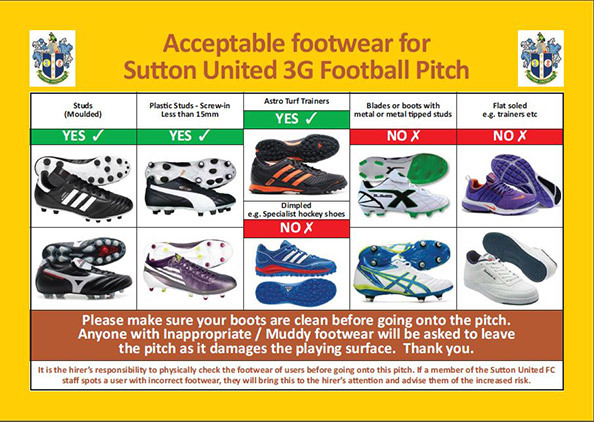 Whereas early artificial pitches were filled or dressed with sand and had a short pile (similar to those used at oldham, QPR and Luton), 3G Football Turf pitches come with a longer pile and are in filled with rubber granules giving characteristics that one would associate with playing on a high quality natural pitch such as ball bounce, ball roll, surface hardness and grip. The softer nature of the infill and carpet pile mean greater player comfort and greatly reduced concerns with skin burns and abrasions. I have seen the impact 3G Football Turf can have in providing a fantastic experience for those playing, coaching and officiating at all levels of the nation’s favourite game. I would actively encourage all who have not yet experienced 3G Football Turf to go out and try it. They are an excellent addition to the mix of facilities we have in this country, I hope this document helps answer any que”stions you may have in relation to these facilities.